Free museum visits are one of the pleasures of budget travel. To be sure, many of the world's greatest museums charge relatively little in relation to the experiences they provide to visitors. But the following institutions (in no particular order) provide both outstanding opportunities and the luxury of no admission charge. One of the finest examples is the British Museum in London. This cultural treasure opened in 1753 and has never charged an admission fee. There are fees for some special events, and it's a good idea to make a donation to the museum if you can afford to do so. Supporting the work here means helping the world see such wonders as the Rosetta Stone and the Elgin Marbles. But you should plan your day(s) carefully. With about 7 million objects on display, it is easy to become overwhelmed. London visitors find the museum on Great Russell Street, and the nearest Tube (subway) stops are Tottenham Court Road and Russell Square. Hours: Open daily 10 a.m. to 5:30 p.m. but until 8:30 p.m. on Friday. 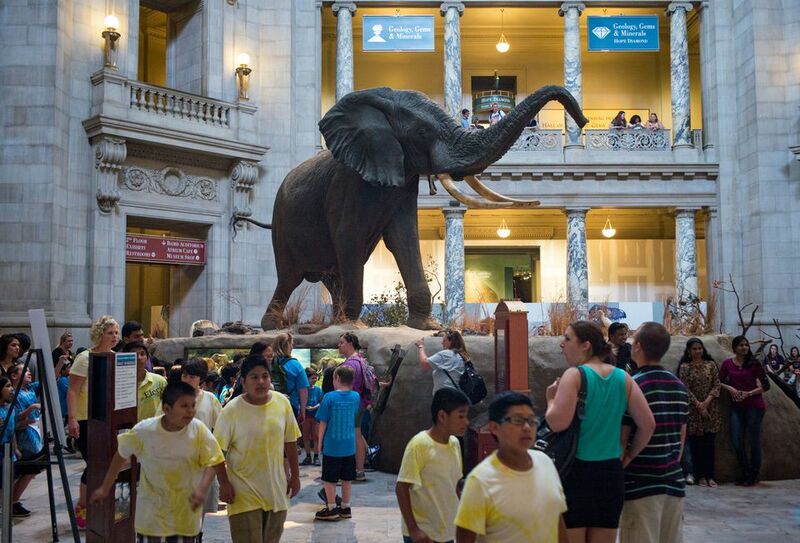 The Smithsonian Institution is actually 19 separate museums and the National Zoo, all of which are free to visitors. You will pay extra for movie presentations in places like the National Air and Space Museum, but you'll enjoy seeing the "Spirit of St. Louis" trans-Atlantic plane and Apollo spacecraft nearly side-by-side at no charge. The Smithsonian Castle (pictured) is the institution's iconic landmark and houses the visitor center. It makes sense to start your explorations here. Depending upon the length of your Washington visit, it's likely you'll have to prioritize the exhibits of greatest significance, and leave some of the others for another trip. There is a Smithsonian stop on the Washington Metro system, but be careful--your desired museum might be quite a walk from the station. Hours: Open daily 10 a.m. to 5:30 p.m. for most museums, but a few keep separate schedules. Note that hours vary by season at the National Zoo. Although you will pay for parking, admissions to both the J. Paul Getty Museum and Getty Villa are free of charge. At large museums, it is always a good idea to seek out an orientation video at the outset of your visit. Here, you can watch the presentation and then decide where you would like to apportion time available for the visit. One other benefit that's absolutely free: the sunset views of Los Angeles that are possible from the Getty. It's located in West Los Angeles near the intersection of the San Diego and Santa Monica freeways. Take the Getty Center Drive exit from the San Diego Freeway and follow the signs. Although admission is free, parking will cost $15. If you want to skip that fee, take Metro Bus 761, which stops at the center's main gate on Sepulveda Blvd. Hours: The museum is closed on Mondays; open Tuesday–Friday and Sunday 10 a.m. to 5:30 p.m. and Saturday 10 a.m. to 9 p.m. The villa is open Wednesday–Monday 10 a.m. to 5 p.m., and closed Tuesdays. St. Louis Art Museum, St. Louis, Mo. St. Louis Art Museum actually sits amid some outstanding free attractions that include the St. Louis Zoo and extensive Forest Park to the west of downtown. The museum is subsidized, but it's not a bad idea to make a small contribution if you are able to do so. Parking near the museum is free, but it will cost $10 in the museum's underground parking garage. There is also paid parking at the nearby St. Louis Zoo. Some people park near the museum and walk to the zoo, which means the parking lots can fill up quickly on a busy day. The collections here are wide-ranging and extensive, featuring African, American and Asian art, as well as European art, photography and pre-Columbian and American Indian displays. The nearest MetroLink stops are Skinker and Forest Park, but both require a bit of a walk. Hours: 10 a.m. to 5 p.m. Tuesday-Sunday. The museum stays open until 9 p.m. on Fridays. More Reading: Tips for visiting St. Louis on a budget. Minneapolis Institute of Arts, Minneapolis, Minn.
A free museum visit is possible at the Minneapolis Institute of Arts, largely because of a county park fund and the philanthropy of corporate sponsors as well as individual patrons. The location is along Metro Transit route 11, and there is free parking outside the museum. Inside, you'll find an extensive Asian collection on the second floor and a children's section on the first floor. The European collections cover much of the third floor, and the Institute is also known for its contemporary exhibits. Be sure to check out the calendar of events on the website to see if special exhibitions will be underway during your visit. Keep in mind that there could be fees for viewing those temporary displays. Hours: 10 a.m. to 5 p.m. Tuesday-Sunday, with hours extended to 9 p.m. on Thursdays and Fridays. Have you ever wondered what a pile of cash worth $1 million would look like? At the Chicago Fed's Money Museum (230 South LaSalle St., corner of Jackson and LaSalle), you'll see a stash of $20 bills that adds up to a cool million. Nearby, stop for one of Chicago's greatest photo-ops: a chance to pose with a briefcase stuffed with cash. Learn to spot counterfeit money at a special display highlighting all the security-related design elements found in U.S. currency. Consider the museum's newest display that illustrates the effects of inflation. In addition to present-day money issues, the museum also showcases historic pieces. Today's most valuable denomination in circulation is the $100 bill. But there was a time when legitimate $10,000 bills were circulated. You'll see an example. Hours: As one might expect, the museum is closed on bank holidays and weekends. It is open 8:30-5, Monday through Friday. 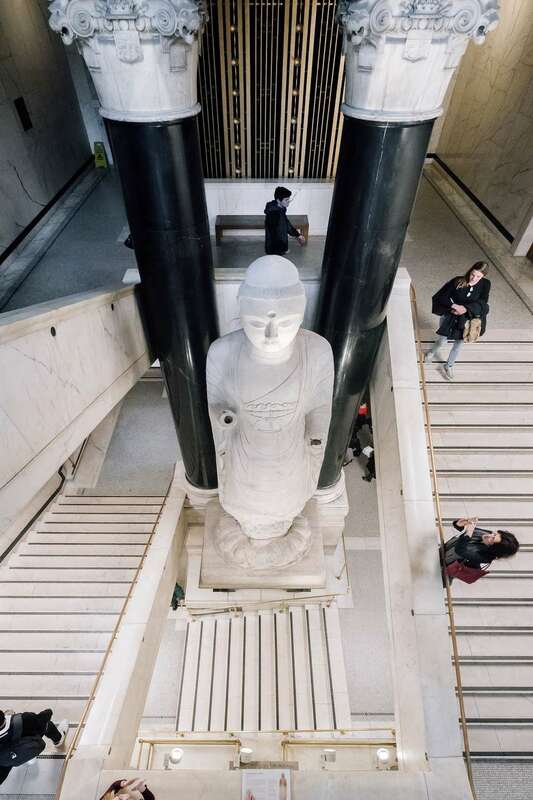 Great Britain offers its publicly funded museums to visitors free of charge, and like the British Museum, the Greenwich Maritime Museum can be the focus of an entire day at minimal cost. There are sometimes exhibits here that will require a fee, and transportation from Central London requires spending a few pounds. Few museums in the world are better at telling the story of seafaring than this one. Greenwich became so important to mariners that longitude was established at zero degrees at the next-door Royal Observatory. Ships of all descriptions passed by Greenwich from the London docks to the open sea for centuries. The need for deeper ports to host huge container ships changed all of that in the 1960s. About 2.3 million visitors come here each year to see portraits and displays that chronicle maritime enterprises through the years. Take the Docklands Light Railway from Central London to the Cutty Sark station. There are small take-away food operations on the walk from station to museum, but Greenwich for the most part is not a place with a wide selection of budget meals. The museum itself has a small coffee shop serving sandwiches and desserts. Hours: Open daily from 10 a.m. to 5 p.m., with the last admission of the day at 4:30. The museum is closed Dec. 24-26, but remains open during other bank holidays. This is not among the first museums that might come to mind in a discussion of Paris, but visiting Musée Carnavalet is a pleasure for history buffs who also love free attractions. Permanent collections and themed exhibitions are free, but there are charges levied for lectures, workshops and general visits involving the entire facility. The history of Paris is displayed in 100 rooms of two renaissance mansions. There are temporary displays here for which small admission fees are charged, but the small cost usually represents a great value. As with most of Paris' attractions, it is accessible by Metro. Take the subway to either Saint-Paul (line one) or Chemin Vert (line eight). Hours: Tuesday-Sunday from 10 a.m. to 6 p.m. The ticket office closes at 5:15 p.m. Note that the museum closed for renovations in October 2017 and will not fully reopen until 2019.